Stressed out, tired, CONSIDERATE subway rider. Aware of her surroundings. WIN! 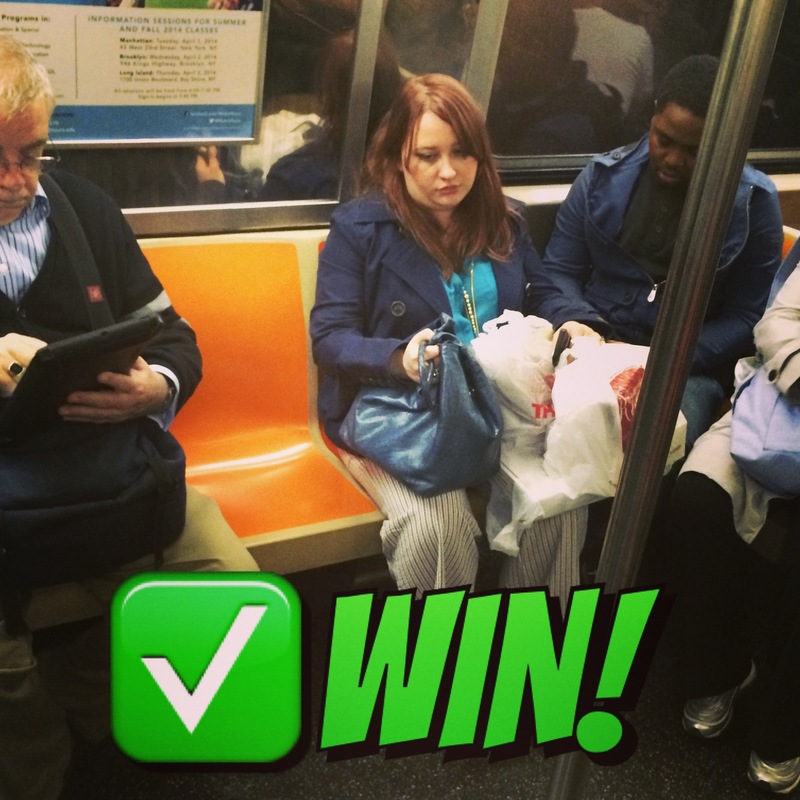 Do you know how to ride the subway? Guess not!